Good music is capable of healing the soul and uplifting the spirit. When two people share a love and talent for singing, there's no limit to the kind of magic they are capable of creating and these two siblings were a perfect example of that. 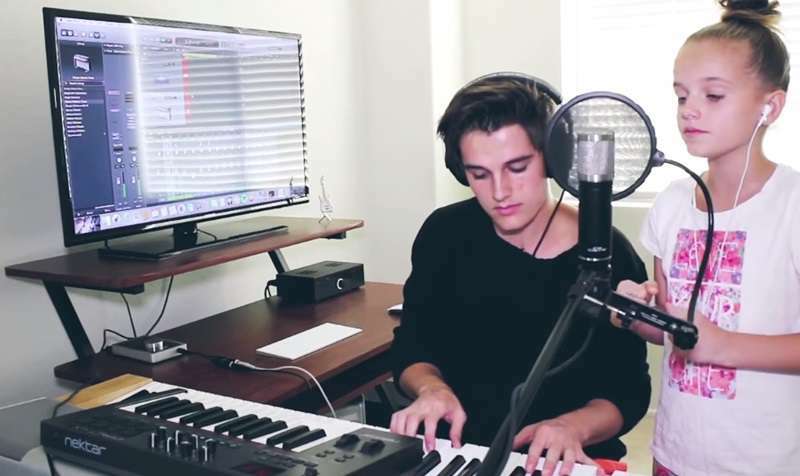 Kenny Holland and his sister, Capri love to sing. They are each also incredibly talented. So when the combined forces and performed a mashup of two classic songs, the result was truly incredible. Kenny and Capri composed a beautiful cover of Elvis Presley's 'Can't Help Falling In Love' and 'Somewhere Over The Rainbow.' The brother-sister duo blended the music into each other perfectly and they were a delight to watch. Capri was the first to sing the beautiful notes while Kenny gently played the piano which led into his own part. When they both began singing, it was clear that these two were a very special pair. We also have to applaud their courage. Creating a mashup of two songs, especially when they are classic ones like these takes bravery. It can either be super awesome or go terribly wrong. So, in most cases, singers, especially amateurs, avoid it altogether. But these guys did a fantastic job, especially considering the fact that they are very young and will only get better with age. 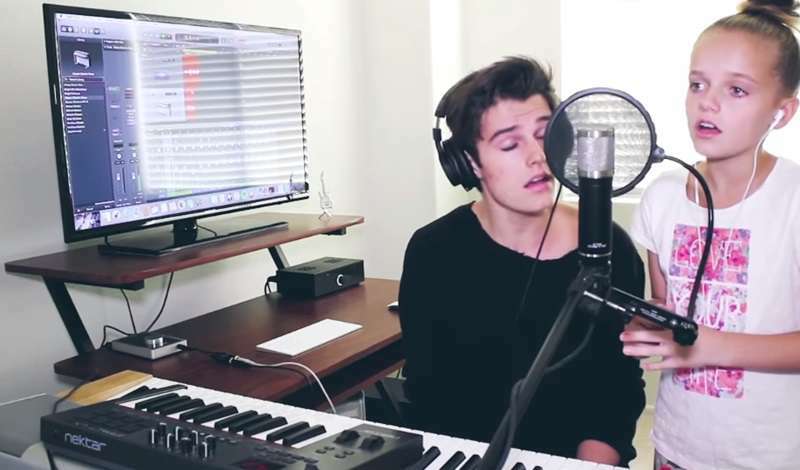 The video, which was posted by Kenny Holland himself and shared in September 2016, has received over 7 million views. And the majority of viewers really enjoyed it. Most of them commented on the kind of loving relationship the siblings seem to have. This was even more evident by the way Capri rested her head on her big brother's shoulder and his responding smile when the song was over. Clearly, she adores Kenny and he loves her right back. Truly beautiful to see.